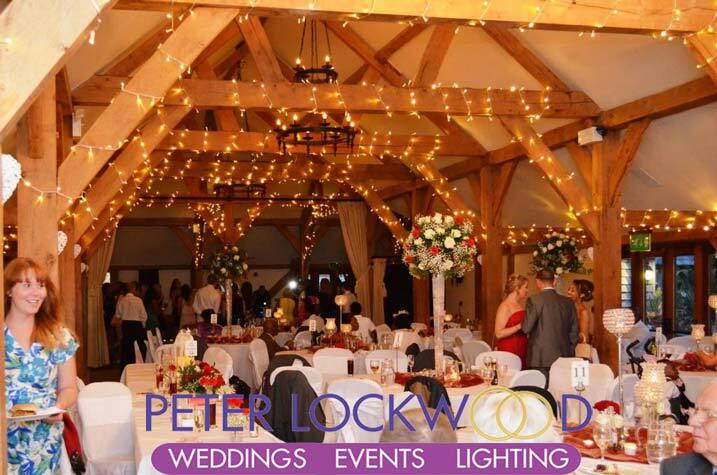 Fairy Lights can dramatically transform your wedding or event venue. I carry lots of different types of fairy lights. 240v Warm White on Rubber Cable, they are great for long runs and fairy light canopies. The 24v on Clear Cable. (perfect for blending in round beams ) they come in Warm White. 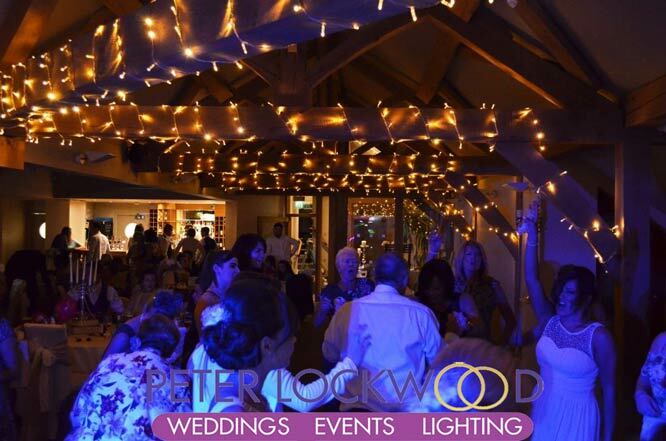 I think the Warm White Fairy Lights are the best for weddings. They have the ability to totally change the atmosphere of any venue. The fairy lights I use are Professional Grade not thin christmas lights. They are very bright I can provide a dimmer to turn them down if you wish. 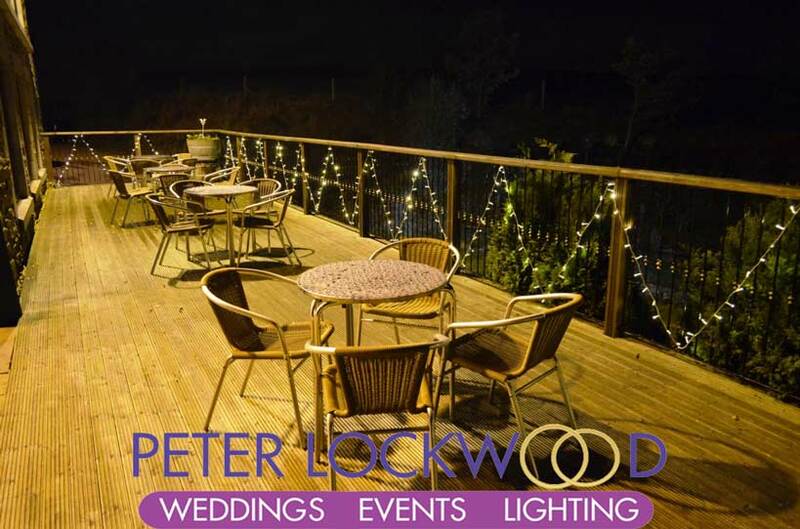 I have stock of around 1500 meters of warm white fairy lights in stock this lets me do anything that you want. 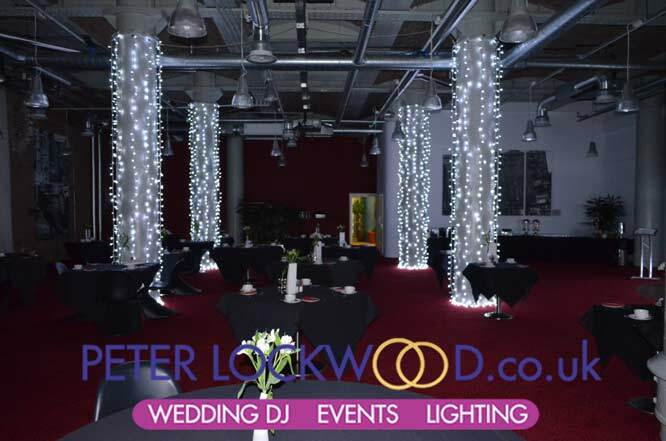 By using my Naked Backdrop you can fill a wall in warm white fairy lights with 288 bright leds per 2 meter wide 3 meters high section. 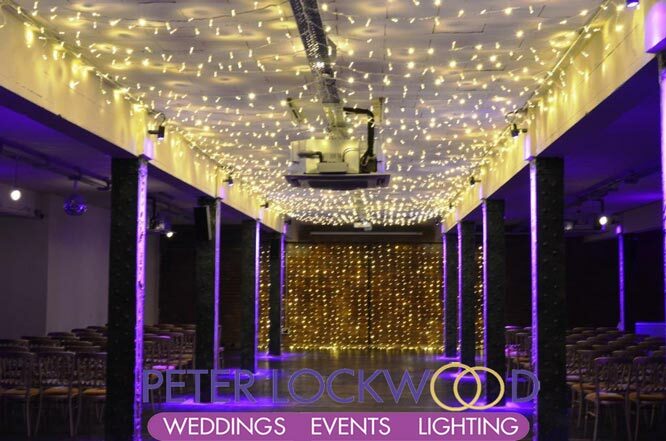 Over 850 warm white leds in a 6 x 3 meter wedding backdrop. The Fairy Light Canopy is at Abbeystead Village Hall. 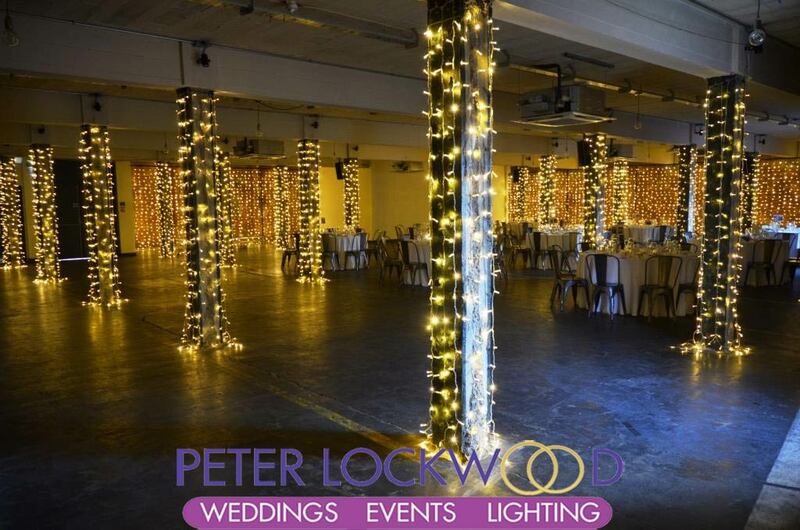 Victoria Warehouse is a stunning venue that is made better with my warm white fairy lights. This is where my all 3 of my fairy lights come together. 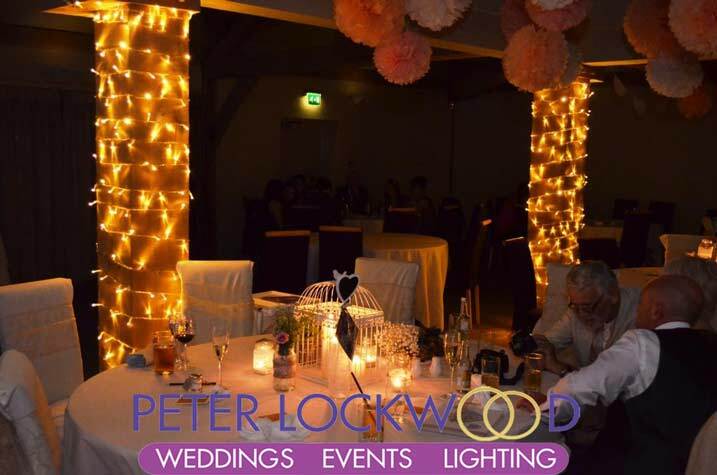 Two of my services are in the two pictures below my naked backdrop and pillar draping/fairy lights. 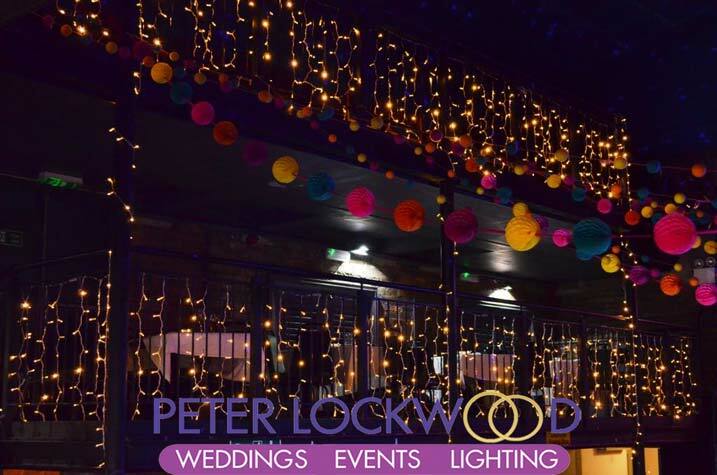 Wedding Fairy Lights Hire in the four pictures below at the White Hart Saddleworth. Show warm white string lighting on clear cables. 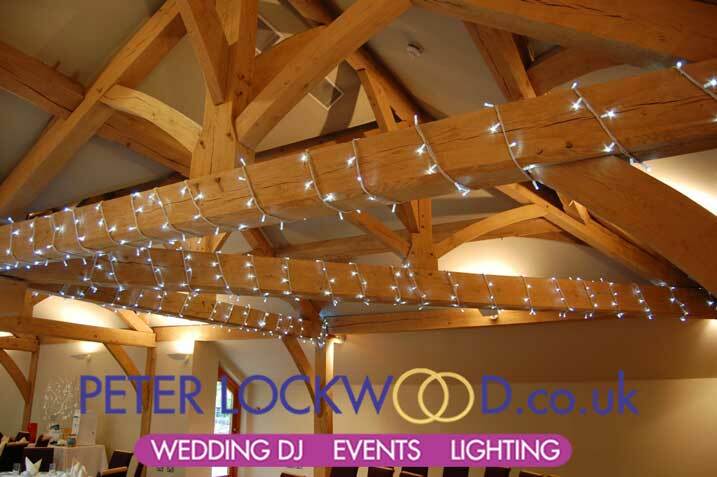 Around 200 meters was used to wrap the horizontal oak beams at the White Hart Lydgate. 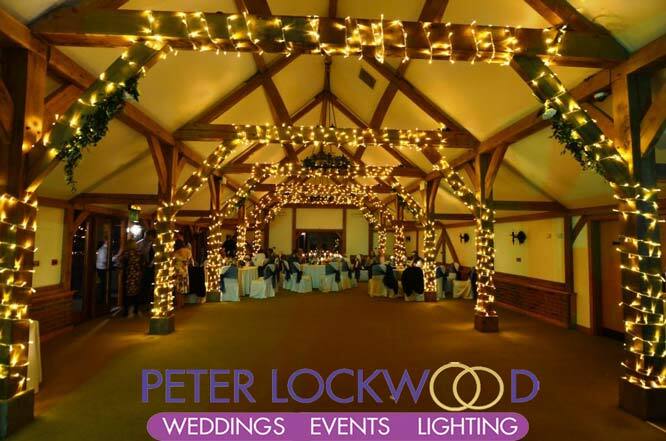 I provided warm white string lights wrapped around the 9 oak beams at Sandhole Oak Barn. 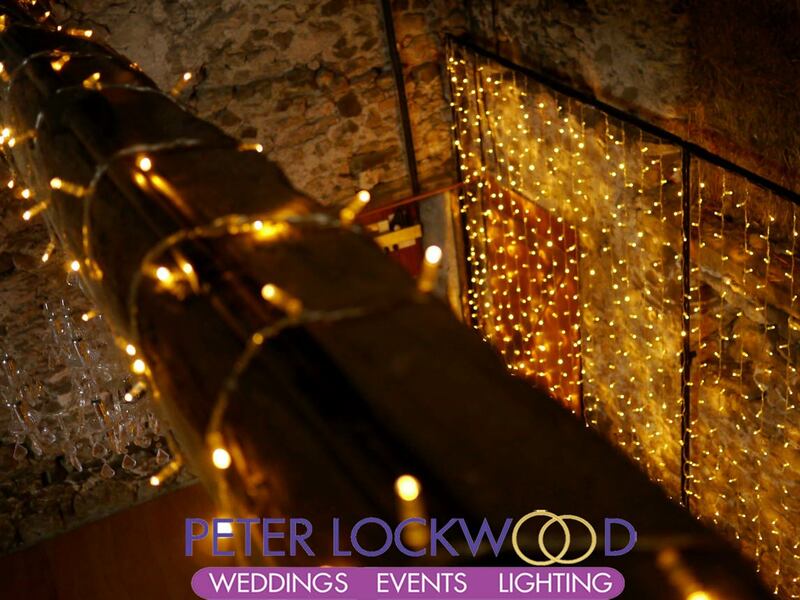 The Wedding Fairy Lights Hire provided more than enough light in the evening for the guests to see what they was doing in the barn. 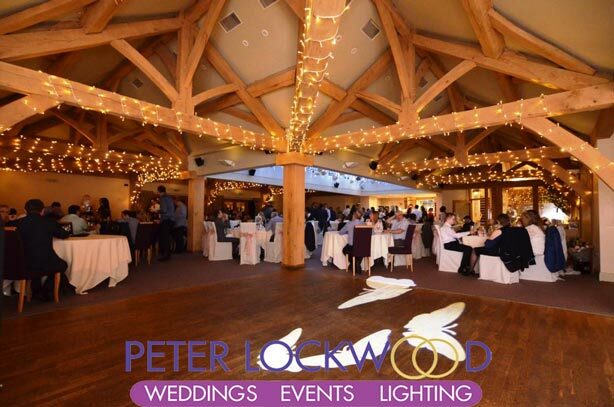 I think warm white lights are best they provide a golden, candlelit glow which is perfect for a romantic atmosphere. I provides my warm white fairy lights on the 10 pillars in the Crystal Suite in the Britannia Hotel Manchester. 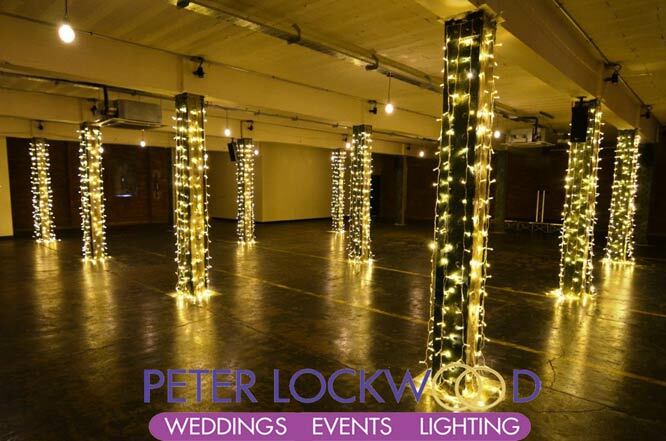 I used 24 meters of lights to wrap around each pillar. I also carry massive stock of fully waterproof bright white fairy / string lights on white rubber cable. 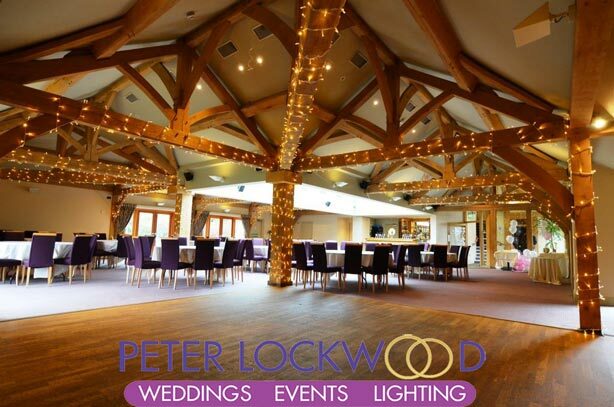 Perfect for a light canopy, draping beams or pillars the list of uses can be as big as your imagination. 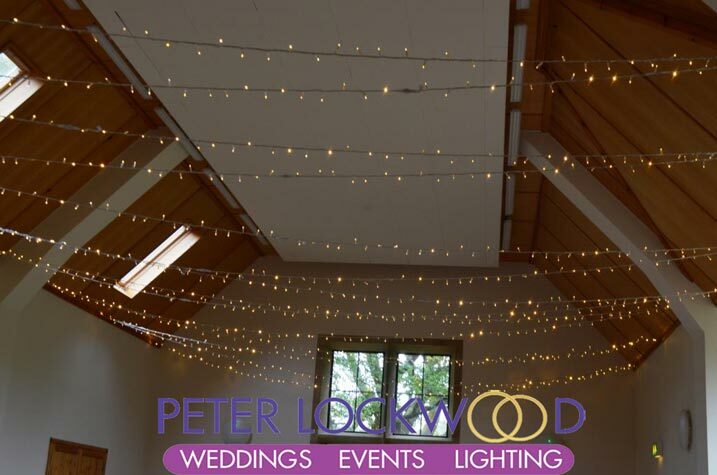 The two pictures below are showing the bright white leds on white rubber cable fairy lights.